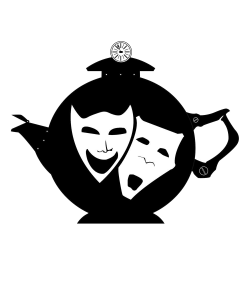 We at Tea-Powered Theatre are proud to present Teatre, do not be baffled that is not a spelling mistake, it’s our own mix of Tea and Theatre. That’s right! you can finally enjoy two of the greatest delights on this green and pleasant earth at the same time! Opening the doors at 4pm, you’ll be greeted by our waiting staff and seen to a table, before having your order taken and a scrumptious cream tea brought to you. There will be a bountiful selection of black teas, provided by Bristol Tea Company, for you to choose from. The scones, cream and jam will be sourced from local, organic producers. Gluten and dairy free alternatives are available. Once you have partaken in our tea time delicacies, at 5pm the metaphorical curtain will rise and you’ll be treated to a theatrical performance lasting approximately an hour. It could be anything from local new writing to Shakespeare or cabaret. You can inspect our previous Teatres in their Past-Production sub-pages. We produce most of the events in-house, but we’re always looking to collaborate with other companies and showcase their work in Teatre. We have several dates available in 2018, if you would like to get involved please see our Contact Us page to get in touch.